Weather Authority Chief Meteorologist Shane Butler is a Central Alabama native. Shane was born in Montgomery, grew up in Eclectic and is a graduate of Elmore County High School and Troy University. He has his broadcast meteorology certification from Mississippi State University. 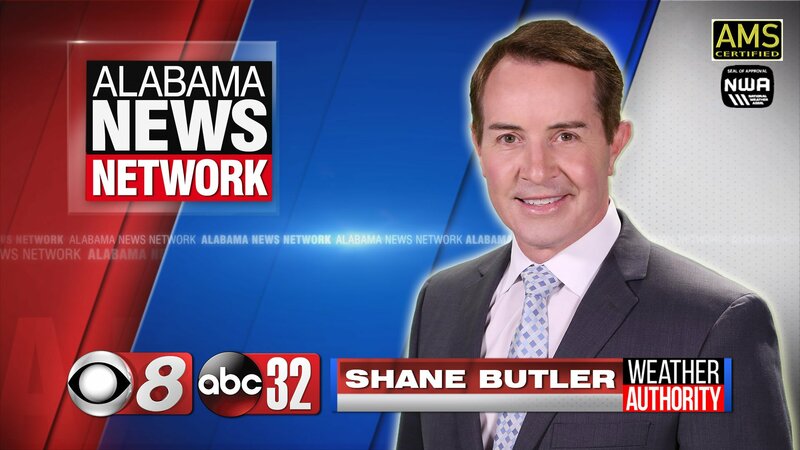 Shane joined Alabama News Network as chief meteorologist in September 2015 after being chief meteorologist at WRDW in Augusta, Georgia, for six years. He began his weather career in 1988 at WTVY in Dothan. He’s also worked for WSFA in Montgomery, where he did noon weather from 1989 to 1992, before going on to work for WTLV in Jacksonville, Florida, and WBRC in Birmingham. Shane has also been chief meteorologist at WGNX (now WGCL) in Atlanta, WAAY in Huntsville and WSET in Lynchburg/Roanoke, Virginia. He has both the Certified Broadcast Meteorologist seal (CBM) from the American Meteorological Society (AMS) and the seal of approval from the National Weather Association (NWA). He has won the “Best Weathercaster” award from the Associated Press numerous times in Alabama, Georgia and Virginia and has been nominated for an Emmy Award for his work. Shane is an FAA licensed pilot and owns his own drone. He still has family in Elmore County and a lot of friends throughout the area.